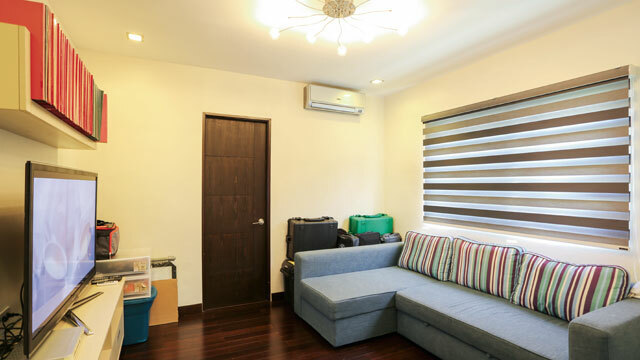 One of the most hard-earned thing that Jennylyn Mercado had ever spent is her properties and lands from her long-time career in show business. 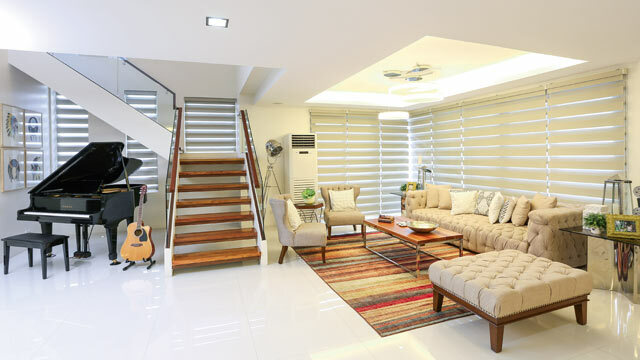 In her features, her new house within the subdivision in Quezon City is the best place for her family which is very spacious and airy which is perfect for starting anew. After she had bought the house, she had pressed all her effort in working with the contractors and with the interior designer to establish a modernized haven that suits her family's desires and to fill every intricate detail they want that provides satisfaction and also with elegance. Check out this photos from their home which will amaze you! The dining area provides a soothing calm and warm vibrancy for the guests to feel at home instantly. With its pair of high-back upholstered chairs and a long table with very comfy designs. It also has a very vintage looking chandelier which provides a great illumination of dramatic lighting that keeps it bright and also inviting to the eyes. It has very intricate designs for utensils and ceramic items that adds a robust look for the dining area. Its dining area could accommodate ten people in having a taste of an exquisite experience in dining. She added a music set of grand piano and an acoustic guitar for the living area. The living area is decorated with a beige tufted couch with sofa chairs and an extra stool as added props. The cool vibes of the living area make it accommodating for the guests to have a warm comfort. The door next to the grand piano leads to a comfort room which is used mainly by the guests. Its mosaic tiles make it also really elegant and astonishing which promotes a vintage looking vibes. It also has a stash of clean towels for the user's satisfaction in using the comfort room. 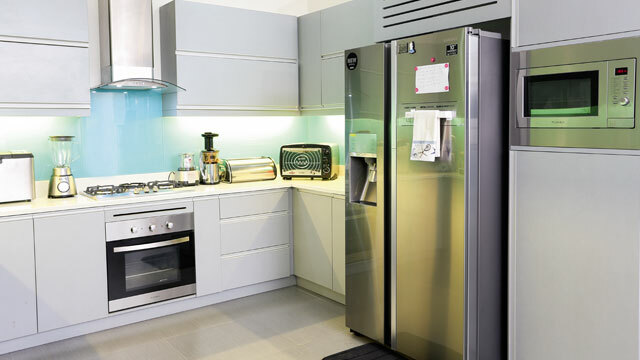 The kitchen has an installed appliances that are top-of-the-line and complete kitchen utensils which are used for cooking. It also has a very spacious area to provide all the users some comfort in doing a lot of things within the facility. The guest area has a lot of entertainment appliances which includes a set of a TV with complete furniture to sooth the visiting guests. 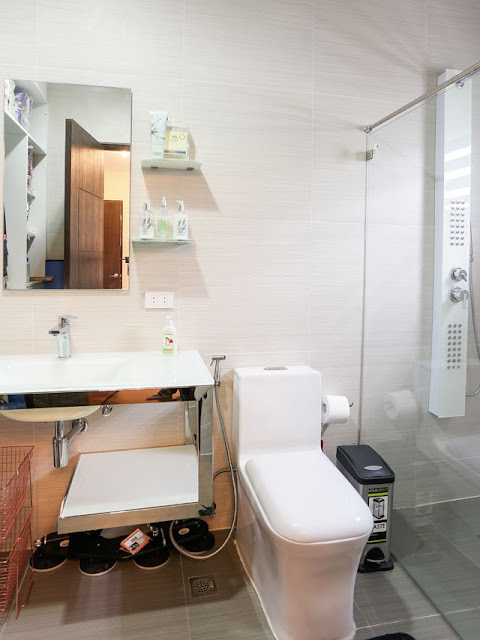 It also has its own bathroom to fill the necessities of the guests. It also has a lot of toiletries for sanitation and also a shower room enclosed with a glass door. 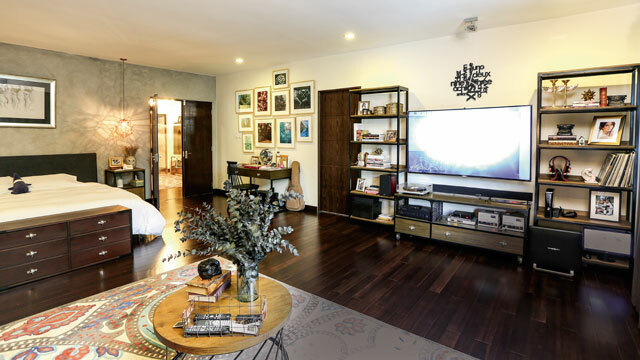 The house also has an entertainment room with a lazy couch to have the best experience in watching movies with her family which is great for family gathering and bonding casually in their house. The room also has a gallery wall with the pictures of Jen's family which are mostly from their travels in different places and some memorable snaps. The bedroom is themed with blue decorations that highlight the neatness of the room. 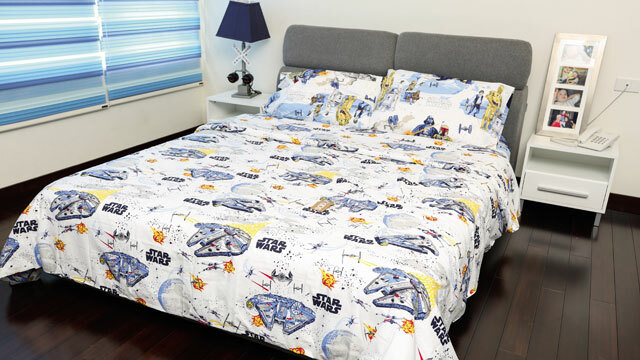 Its bedding is also themed with "Star Wars" which is really a kid-friendly design. 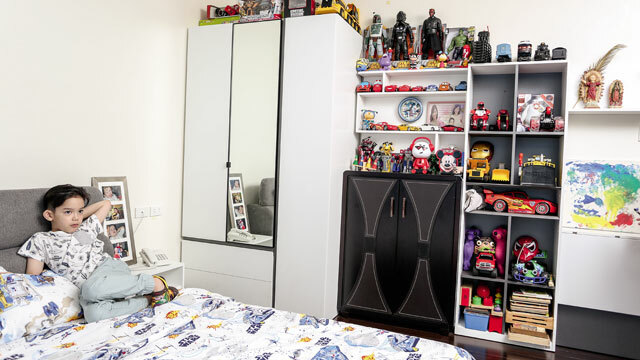 The room is also filled with organized toys in the cabinet that makes the room very tidy. 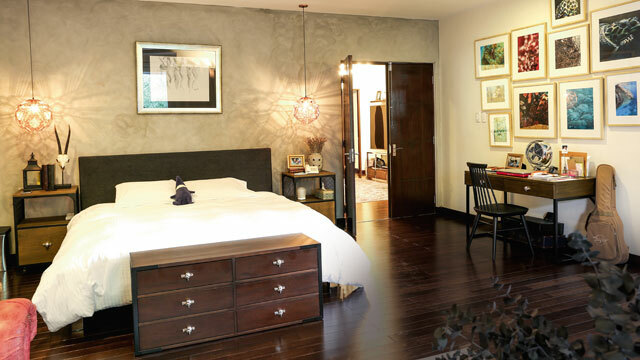 The master's bedroom, which is the private room of Jennylyn, features a different kind of vibes of vintage and class. 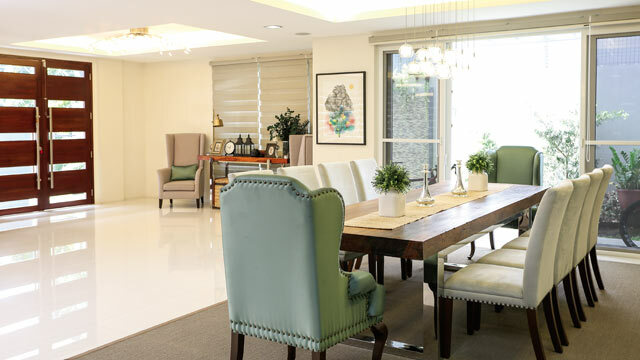 It was designed by the infamous interior designer Rossy Yabut-Rojales of Heim Interiors. With its New York inspired design, the slick and old-fashioned views and its very inviting lights makes the bedroom looks like a suite room of a 5-star hotel. Some of the materials that make the room extraordinary are all custom-made and high quality that might even worth a fortune. The captivating lighting bulbs that cast a very warm glow which makes the ambiance so intense yet calming feeling. It also showcases a painting which is made by the national artist, Benedicto Cabrera, that is above the bed. The room also has a complete flat-screen TV set, gaming console, and surround sound which makes the room very perfect for entertainment. It also has a lot of collections of vinyl records and a turntable. It also has a study table with photographs of Jennylyns pictures of underwater art which she had taken in her adventures. With her passion for biking and triathlon which she used in different races, she decorated her room with bikes which is like a trophy for her which is placed upon the brick wall. One of her bikes was made in Italy which she used in her race in Bataan. With some tweaks of vintage art and design, the room is still balanced with much of modernized apparels and materials that make the room completely out of the ordinary. The bathroom is packed with a lot of intricate interior design which makes it look like a spa. 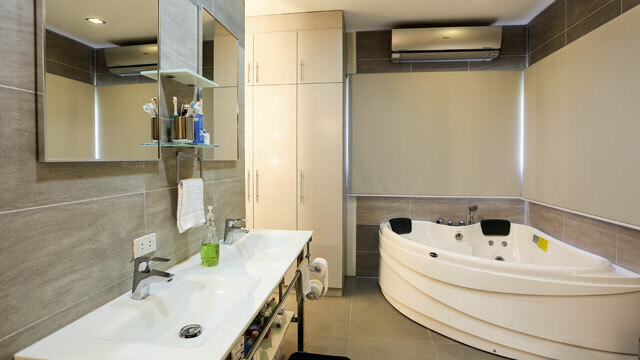 A team of interior designers, Rossy and the Heim, made a lot of adjustments in the bathroom which features a modernized tub, a dual sink, and an open shower area. It is defined with bathroom tiles that are very archaic in its design. This room is directly connected to the bathroom which makes it easy for dress change. The room is filled with fashioned clothes, shoes, and apparels that are usually used for Jen's TV appearances. 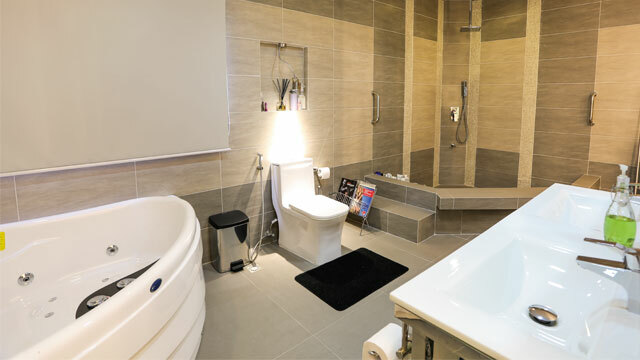 It has no partitions that separate the shower area from this room which is uniquely made for her style and taste. It is also established with a very decent vanity area that is complete with a large mirror with decorated lights that she uses to get her ready for her work which is most likely adorned by girls that want for it in their own room. 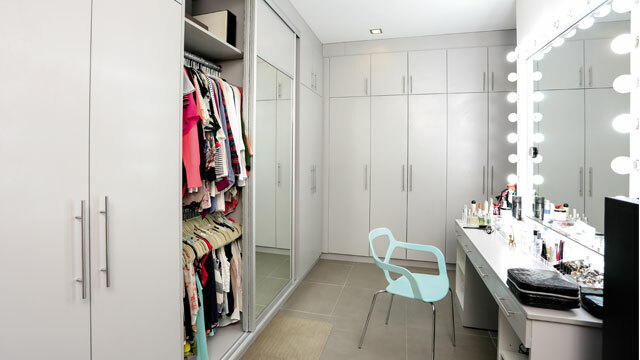 This room is neatly decorated and organized from top shelf to bottom to accommodate all Jen's dresses and shoes. What are your thoughts about this magnificent house? Isn't it amazing to have such beautiful and amazing house? Share this article!